Happy New Year from ISO! We have a new resident blogger, Matthew Spaniol of Aarhus University in Denmark; he’s a specialist in futures studies at a school of management. 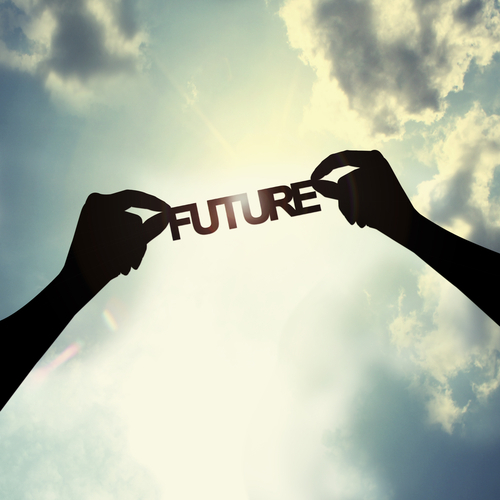 He writes about scenario planning, reports from conferences about futures and the future, and also has helped to kick-off a new section in the blog about Teaching Futures Studies. Our long-time blogger Stef Fishel is heading to Australia for a new post and is planning to rekindle her central role in the blog by, in concert with Matthew and I, creating a new 3:1 series, based on our past 3:1 series and the 3:1 concept, for the year devoted to “The Future of [Fill-in the blank],” wherein we will discuss various topics of relevance through the lens of the future. She takes the STS lens with her to the world of international studies and international relations, among other places, and has contributed to great discussions on “planetary politics,” has a great book “The Microbial State” (a few free pages here), and has discussed a number of issues including a personal favorite invoking “the cabinet of curiosities” to IR and STS. I, Nicholas Rowland, for my part, will continue to host the blog, invite our guests to join us on the blog and especially for future 3:1 post-sets, curate our reading list, and, of course, keep writing with Matthew on scenario planning and the future from an STS perspective (e.g., continue our work on planning paradoxes, the ontology of the future, and any other way we can use STS to study Futures Studies). 4S 2015 Denver is our (Jan-H and I’s) presentation from, unsurprisingly, 4S 2015 (Denver), wherein we reflect on the trends and recurrent themes in our five years of organizing panels around STS, governance, and the state, which we are now calling simply “Social Studies of Politics.” We have a chapter summarizing a bit of this in “Knowing Governance,” but the paywall is steep, steep! This is an excerpt from a paper that we will present in Izmir, Turkey, next week as part of the European Workshops in International Studies; we are in the social theory section (big surprise) organized by Benjamin Herborth, University of Groningen, and Kai Koddenbrock, University of Duisburg-Essen. On the failures of constructivist language for our purposes. In each case, the materiality of the object contributed to its fate. There were clear economic, cultural, and logistic costs and considerations associated with our objects under study being de-constructed, re-constructed, or, for lack of a better term, un-de-constructed, or, put simply, left. Upon even modest reflection, the available constructivist vocabulary seems to fail us in these moments; primarily developed for understanding how things are to be built, we find it difficult to utilize such language for encapsulating and illuminating the processes associated with the allowable decay resistant materials and the slow unintended or unattended-to wasting-away of durable objects. The only apparent option is to capture attempts at (re)framing — discursively, symbolically, but not practically — the (re)appropriation of monuments in official and unofficial accounts of history. People “make sense” of these ruins, so the classic constructivist interpretation goes. And as soon as they stop or do not care any more there is nothing left to say. That is exactly what Foucault bemoaned when he complained about a historiography that turns monuments into documents. One can easily see that his complaint does not only hold for historical accounts, but for social sciences looking at contemporary issues as well: if we cannot find someone who makes sense of something, then that something simply does not count. But as our cases show: that does not make these massive pieces of concrete, bronze, and iron go away; it does not even leave them untouched. Even when people do not care, forget, or even ignore: the stuff left-over by former state projects stays and shapes what can and cannot be done with it. 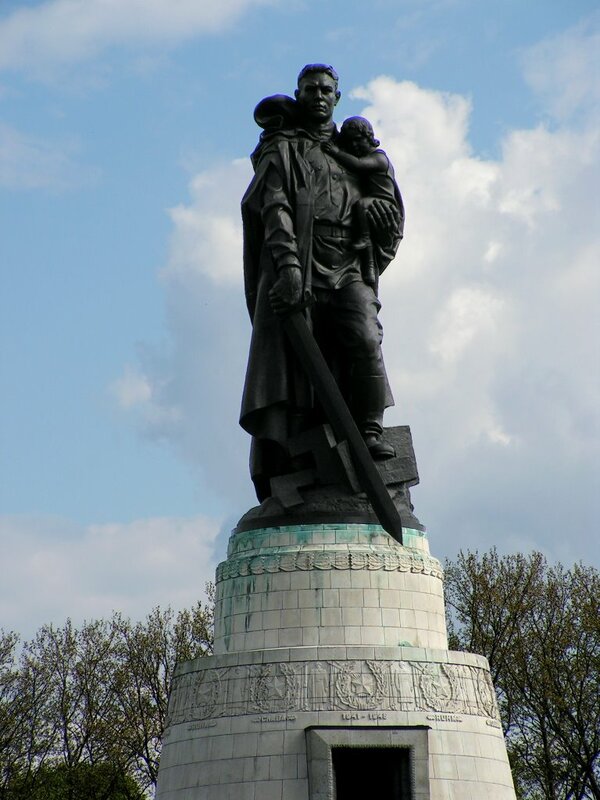 As we view the cases, those Soviet War Memorials constitute a kind of classic form of international relations, one held together by international treatise and inter-governmental agreements regarding the conditions of maintenance for the sites. Based on agreements, the materiality of the sites are not to be marred. The formerly-Nazi Olympic bell constitutes another form of international relations that is de facto, meaning, the bell’s unearthing and repositioning outside the Olympic stadium is not the outcome of treaties with another nation or the result of any linger agreement from former German governments. The bell’s durable material hardly needs to be willfully maintained; however, to remove it would require a considerable quantity of will, both economic and cultural. As the international stage observes how Germany will learn to deal with its past, the irremovable bell lingers-on in public view with only modest material transformation, which recognizes without celebrating the past. How Germany relates to the material residues of past governments becomes a form of international relations. The Thälmann bust appears to us as an example of international relations unquestionably shaped by materiality, or, put another way, as a standing example of material international relations. The costliness of its decommissioning outweighed so greatly the will and coffers of the Berlin city commission that, despite being selected for removal on the basis of historical value, the monument endures (Ladd,1997: 201). Unlike the Soviet War Memorials, the the Thälmann bust is not vigorously maintained; however, it has also not been disabled like the Berlin Olympic bell. 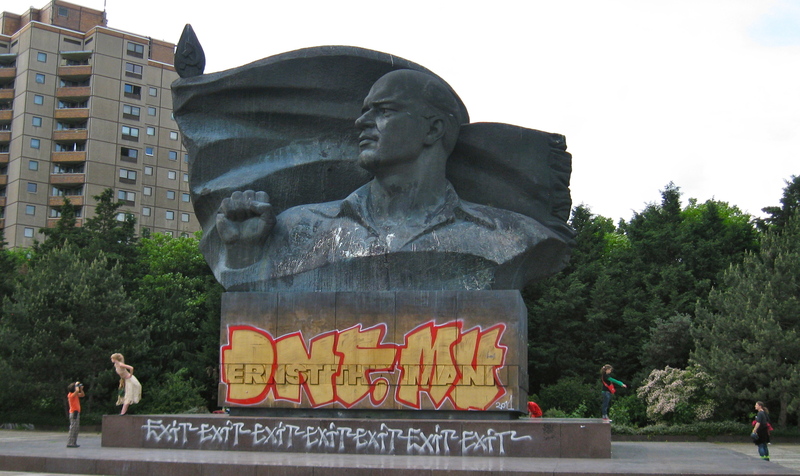 The operant or public identity of the memorial in Ernst Thälmann Park is one of a graffitied material behemoth. Creative urban artists embellish the statue and only occasionally and without ceremony is hulk washed of the ongoing alterations that it is subjected to from the public. 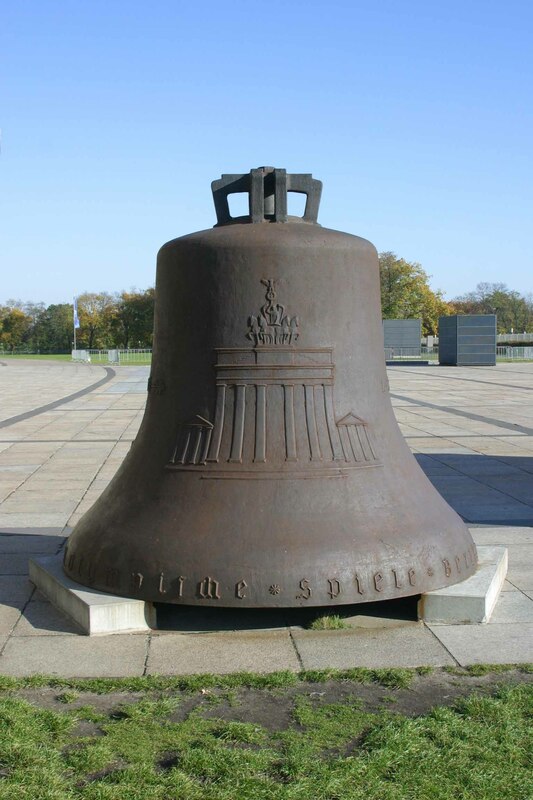 In sum, the Soviet War Memorials endure for classical reasons of international relations; the Olympic bell endures, irremovable but intentionally altered so that it no longer bears the inscription of a past government and it is incapable of expressing its material purpose to ring; though its removal was approved by a commission whose sole purpose for convening was to determine how the Berlin cityscape would be selectively altered, through its hulking materiality the Thälmann bust endures in a state of semi-permanent but allowable vandalization. The language used in the passage above to execute an old stadium produces a clear image in the mind; however, do not mistake it as a heartfelt call from the inner-circles of STS to adopt a relational materialist approach to the symmetrical depiction of humans and nonhumans. Still, there is a kernel of insight worth coaxing into germination. Sentencing a stadium to death would not only be deemed mean-spirited and irrational by Walters, the implication is that one way to deal with international relations (even with old dead states, like the Nazi state) is through the material relations — what Barry calls “material politics” — of monumental spaces such as architect Werner March’s, on Hitler’s orders, grand Olympiastadion staged in the Reichssportfeld (which was built on the foundation of the previous Olympiastadion from the aborted 1916 Games in Berlin). By material politics, Barry conceptualizes processes by which the material world gets drawn into a dynamic relationship with politics; the material world, as it happens, is an important resource for the practical conduct of politics. In STS, Barry’s approach can be contra-positioned with the old adage that “artefacts have politics,” by which Winner (1986) means that technologies have politics as a quintessential part of their design or contextual situatedness. Returning to our main line of discussion, Barry’s project is explicitly about dealing with a project under construction, in his case, laying a rather large oil pipeline, while our is about dealing with a project long-since constructed. Barry’s case is emergent; our cases are left-over. For us, this sometimes means intervention or decommission and other times it means preservation or transformation, either way, the state must relate to these residues of past states. While the constructivist language common to STS accounts serves Barry well, we find it wanting and search for alternatives more suitable for conceptualizing and describing decay amid durability and the state of being left behind. A new direction in political sociology? These are the proofs for a new paper/article that I’m working on. The piece is based-off of a few new books in political sociology, which I review, tie-together, and then admittedly and self-servingly I use them to suggest that a little STS would help matters out in political sociology. It is a bit academic in places, somewhat nit-picky, but I tried to keep the tone at least a little playful. 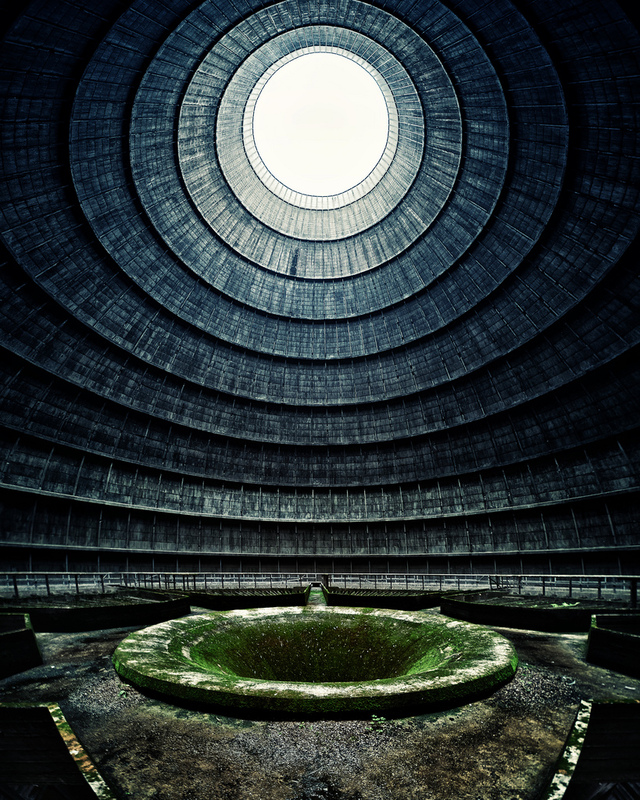 These real life ruins offer an eerie glimpse into a world without humans. Their dark walls inspire a sense of wonder like I’ve never felt before. This should surprise no one. Perhaps the thought experiment is a good one for students, but generally thoughtful people don’t have to let their minds wander/wonder too far to know what a world without people would look like as our infrastructures remain slowly giving way to the elements. What else might infrastructural relics like these tell us? Surely, it is fair to say that they would teach us something new every time we returned to them. However, one of the points that these might tell us, which archeologists and anthropologists have claimed for more than a century (and quite longer, I would guess), is that infrastructural remains indicate more than just “people” were here. Many of these remains (pictured above) are not ancient, either, so we don’t need to impose meanings on where these structures came from or how they were used in antiquity. These are contemporary ruins that sit precariously alongside “life as we know it” now. The point? 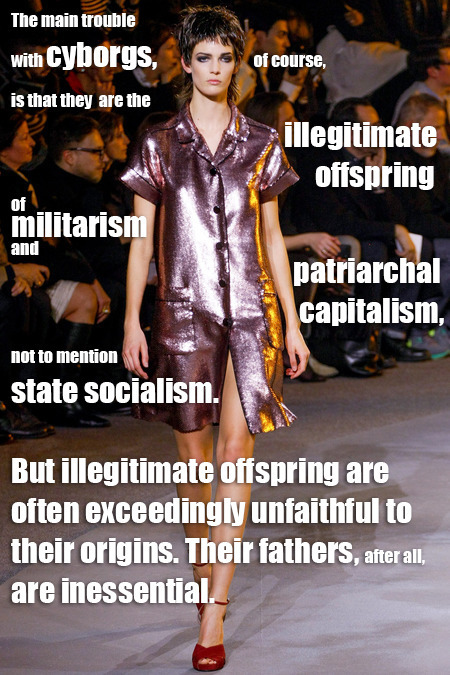 Some, but not all, are state projects, meaning, of course, real people on the ground ultimately produced the structures that “remain,” but the attributional source of the work is a non-human entity called “the state” … these are pieces of evidence that the state exists somewhere, somehow. How to harness that insight for state theory would be a great bridge to infrastructure studies (and infrastructural relics might also be a nice play on literature for infrastructure studies that would sort of be like the relationship between STS and disaster studies, although, there is something really nice about a slow decay as compared to a momentary boom found in most disaster studies — exceptions, of course, exist). 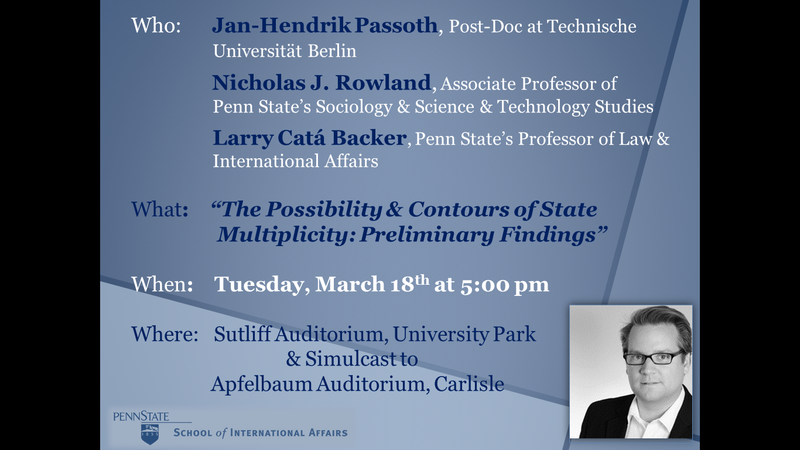 Recently, Jan and I completed a new paper about how the material infrastructure on states (and our actor-network state idea) might figure into contemporary theorizing about international relations. 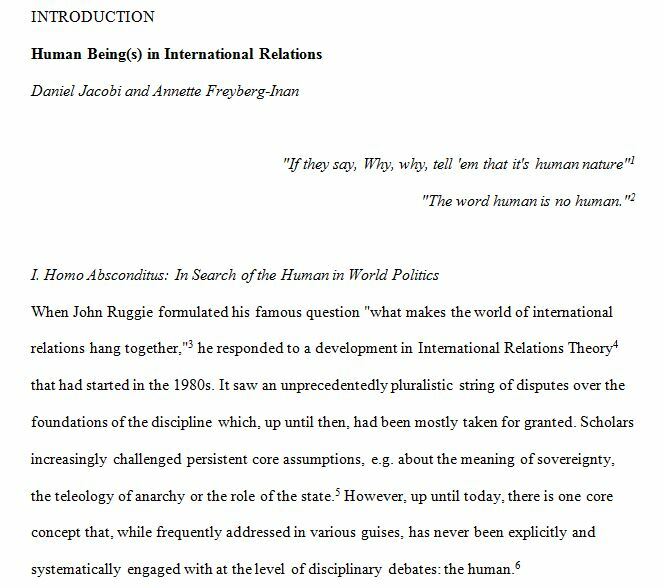 In particular, we are in the process of contributing to a book about the “human element” in IR, and the resulting paper now can be read, but it is only in draft form. 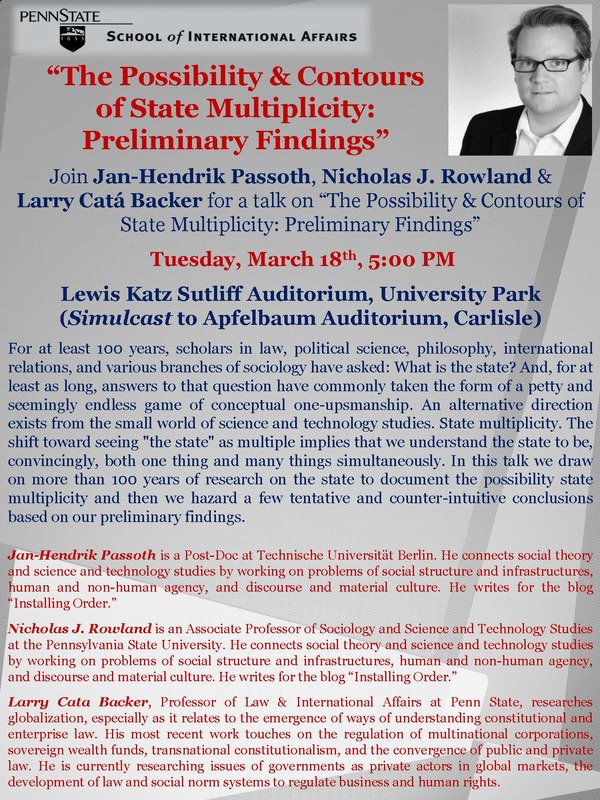 Check out the paper here or here; we do some of our earliest work on “state multiplicity,” play with decentering the human in IR, and we also dabble with non-scholarly state theorizing. My research mainly involves trying to think us out of the conundrum of state-based violence using re-figurations of the body politic. Actual, structural (since all violence stems from actual violence on actual bodies—the threat of hurt and harm), gendered, normalized, terroristic. A tall order, perhaps but one that is crucial to any political project. How do we, as humans, citizens, neighbors, mammals, etc, tend to our world? How is dialogical space made to open creative re-thinking, -figuring, -imagining about how local, state, and global politics function? More broadly, what I am wrestling with is life. How is life included in politics? In our institutions, discourses, or urban planning projects? How do state politics understand life, or to ask the more traditional philosophical question: What is a life worth living? How do we create the conditions needed for realizing the good life? Turns out that life is really complex and messy. It eludes definition and control. On Monday night at Hobart William Smith, I attended a lecture by Dr. Steve Kurtz, a professor at SUNY-Buffalo and founding member of the Critical Art Ensemble. Since the late 1990’s CAE’s founding concern shifted from the digital revolution to the biotech revolution. As Kurtz explained, the digital revolution was a difference in degree rather than kind–it increased the level of intensity of communication, but was more a revolution of scale that intensified the bombardment of the sign rather than internalizing that sign. The biotech revolution, Kurtz argued, was more than a revolution. Previous to this, the body was sacred and humans could always find some relative freedom inside their body, if no where else. Biotechnology, on the other hand, is coding the body from the inside out. Life and potentiality is understood through the genetic code. The posthuman, the cyborg, became a reality in a different way than it had been previous to this biotech revolution. This could be a utopian future or a nightmare. What, argued Kurtz, was needed to nudge it toward the utopian? People must participate and know the political stakes of biotechnology or it will not be democratic, but controlled by policy makers or corporate interests. The role of the CAE, and of artists more broadly, is to deliver messages, show the stakes, and the possibilities of these revolutions. This, as I see it, is the same project as critical social and cultural theory in academia. Academics also show the stakes of the policies and norms that are, more than likely, controlled by the elite, the corporate, and the tyranny of the minority in the US Congress. To return to Kurtz’s talk and its resonances with the research I have presented on this blog, what does it mean that the body can be understood, manipulated, enhanced, improved, with technology as an extension of the actual body? These shifted understandings of the body must deliver emancipatory messages, show the political stakes involved, and bare the possibilities the biotech body for reinvigorating democracy and other forms of participatory governance. Importantly for academic disciplines, as Nicholas and Jan highlight in the “When in doubt, de-Center humans” post, how does this shift affect our disciplines? Recently, an old dissertation fell into my lap and I’d like to tell you about it. I asked my work study to find basically anything about the state and state theory for Jan and I’s book “The State Multiple,” which we are writing now. Well, the dissertation was from 1988 by Michael Soupios, now a storied professor at Long Island University here in the states, where he’s being teaching for three decades and more. His 1988 dissertation from Fordham *(he has multiple PhDs) is titled “Human Nature and Machiavelli’s Homeopathic Theory of State” wherein he tackles the basic quandary set forth by Machiavelli. The terms “homopathic” or “homeotherapy” are of medical origin and refer to a form of treatment in which an element similar to the causative agent of a disease is itself used in attempting a cure. It is precisely this approach that we find offered in Machiavelli’s political formula. 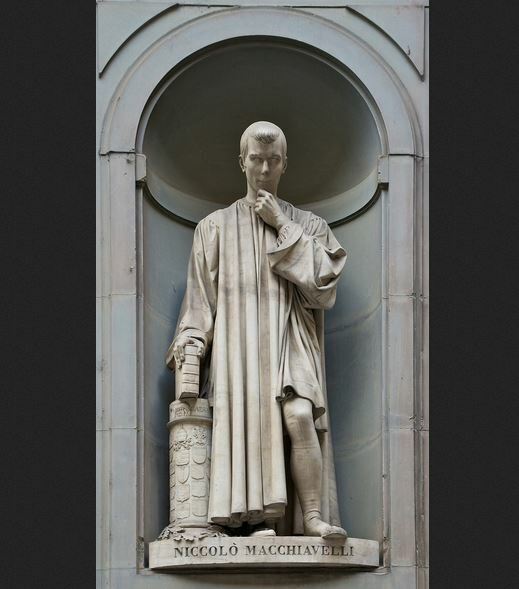 The dissertation goes on to explain how Machiavelli’s vision of humans was basically that we are a bunch of decrepit liars and thieves and, thus, deserved to be treated with as much manipulation and self-service as we would impart on others. Call this, let’s say, a Hobbsian antidote to the crisis of the commons and the natural order of man, although Michael Soupios refrains from the comment (good to stay on topic in a dissertation!). We are not to be ruled and governed by a force that helps us to repress our baser instincts and then choose to be together non-violently as a form of supra-self-interest (sort of like a dynamic where we cooperate just long enough to compete, like children playing nearly any game), and, instead, we see Machiavelli’s view that you treat like with like, or his homeopathic view of states. Michael Soupios tackles fear and force, fraud as an instrument of the state, and creative conflict within the state before setting his sights on how this approach could even be instantiated as a model for International Relations. The dissertation is fascinating and essentially well-written. Now, this view of politics is politics by political means, if you will. Since this writing, STS has entered the discussion of the state, perhaps foremost by my friend and ally in state theory, Patrick Carroll, who, in his many written works, shows how the state, as we know it (i.e., as an actor, a macro entity capable of action, etc.) is a falsehood of sorts and instead the state is made-up of all things stately such as people, bogs, trees, and all the measurement techniques used to make the state’s ‘self’ register in formal documents of statehood and statecraft. 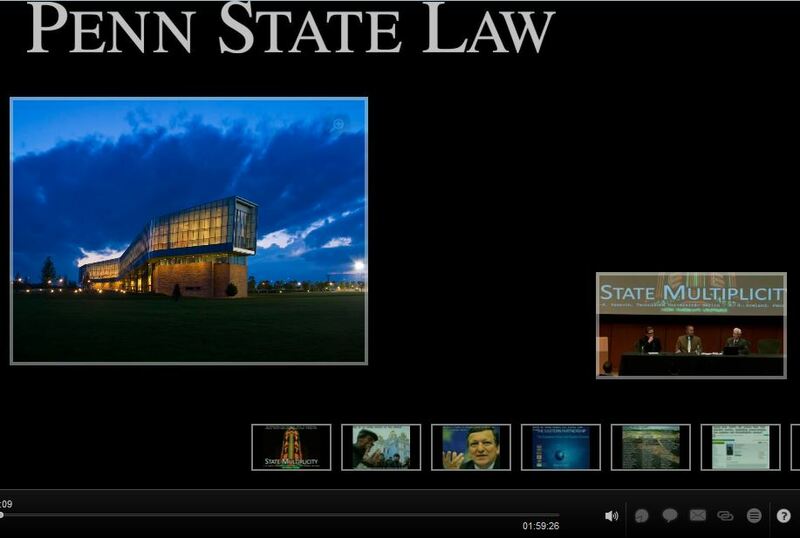 For Patrick, the state is constructed and environmental rather than iconic and abstract; material rather than conceptual. So, with enough force, could Michael Soupios and Patrick Carroll be collided with enough force to make the argument: if one model for the state is homeopathic (i.e., Mach’s), and if one model for the state is material, then could we have a hybrid theory, a homeopathic-material theory of the state? If that is the case: what would the infrastructural equivalent of homeopathic statecraft look like? I don’t yet know, as I’ve only just completed the dissertation read, but it seems like a viable option forward if one wants to engage the cocktail of normative and empirical claims-making that is contemporary political theory. But in addition to the visual puzzle of assembling composite bodies, another puzzle should strike us in those engravings. A simple look at them clearly proves that the “Body Politik” is not only made of people! They are thick with things: clothes, a huge sword, immense castles, large cultivated fields, crowns, ships, cities and an immensely complex technology of gathering, meeting, cohabiting, enlarging, reducing, and focusing. In addition to the throng of little people summed up in the crowned head of the Leviathan, there are objects everywhere. As Latour stresses, this political body is filled with actants (Latour’s word that blends and loses the so-called modern distinction between a subject and object). Actants have varying degrees of “agency,” but more importantly, it is the connections, or translations between actants and what assemblages these connections form, that shows the unfolding story of communal life. To add to this busy and complex assemblages of actants, I throw in the human body itself as a microcosm of these same connections and entanglements. The human microbiome, studied and understood anew through metagenomics, systems biology, and epigenetics, becomes a body multiple, too. By way of example, bacteroides are commonly found in the human intestine where they have a symbiotic, or commensal, relationship with humans. They aid in breaking down polysaccharides that the human body would not otherwise be able to process. Fifteen to twenty percent of our daily caloric intake is absorbed in this manner. There are new studies that suggest that gut microbiota both cause and can be the cure for autoimmune disorders like allergies and irritable bowel syndrome and, according to the Committee on Metagenomics, “[T]hese functions are conducted within complex communities—intricate, balanced, and integrated entities that adapt swiftly and flexibly to environmental change.”. Consider, again, that the DNA of other life forms in our body outnumber us 10 to 1–many of these invisible to us up until recently. 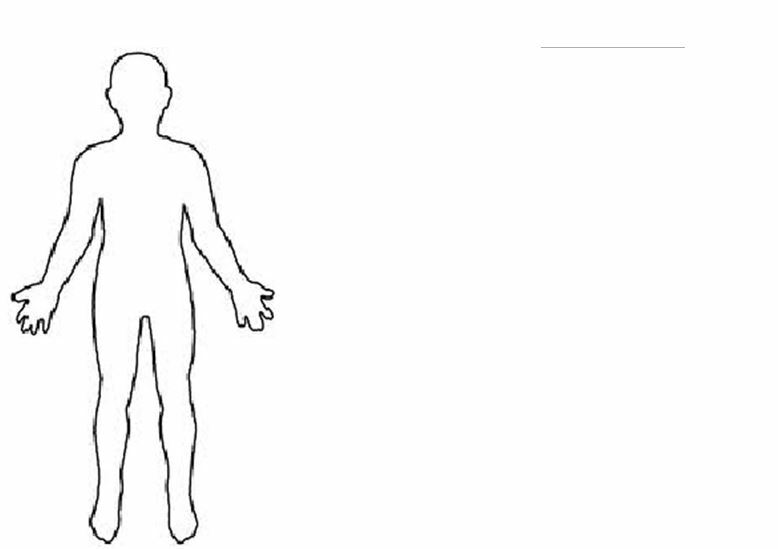 To take metagenomics and the microbiomes of the human body seriously means the human body becomes a community, not only a container–a “mutualistic human-microbial” series of interactions. Not only are we embedded in our environment, but our bodies are home to our own communities of micro flora and fauna. If we extrapolate this to the macro level and the idea of the body politic, what can these commensal, host-guest relations teach us about human communities? Writ large: The State as Person (the body politic) based on these lively human containers becomes dynamic, pluralistic, permeable, heterogeneous. 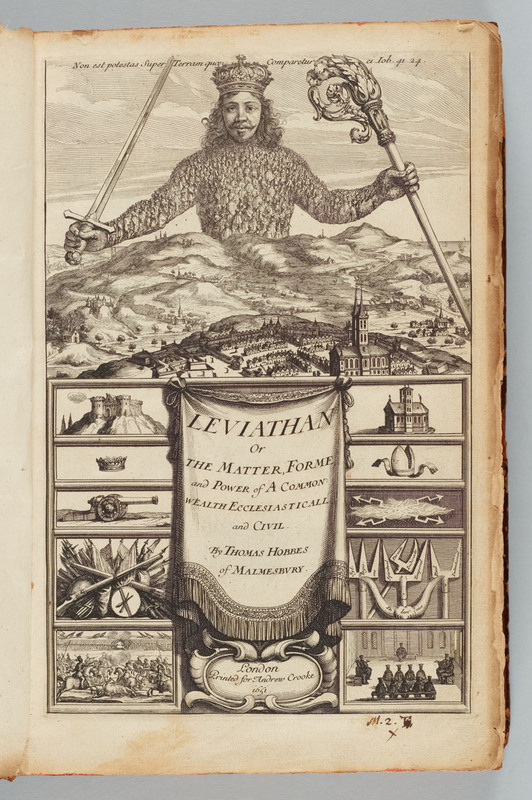 This idea of composite bodies is nothing new, as we spoke above about Hobbes’ Leviathan, humans have imagined, and tried to create societies that respect diversity while securing freedom, but these diverse bodies may need decidedly different security regimes. Regimes that flow, and understand complex systems–both emergence and other perturbations in the system (noise, as Serres, said)– differently. The body and the body politic as a hybrid forum, a nested sets of complex permeable, rather than autonomous bodies need different security assemblages. It certainly puts a different spin on issues such as immigration (immigrants and diseases are often linked), for example. We always already are immigrants and guests and aliens, necessarily. This is health, not sickness, in a body as multiplicity. Purity and isolation will slowly poison this body from the center out, like a closed petri dish. The preservation of the body and the body politic has had multiple figurations–the state and nation, of course, looming the largest in this horizon of politics, but these figurations have never quite worked because few have quite captured the extent to which we are blended and imbricated with each other–both between and across species boundaries. These leakages, or how these problems exceed the capacity of the sovereign state and the system of sovereign states, are the problems of modern politics. We can see them reflected in current debates in international politics like immigration, refugees, predator states, and climate change, to name but a few. These may be more aptly defined as symptoms of a larger misunderstandings about how relationships are formed with multiple bodies coexisting in a mutual biosphere. 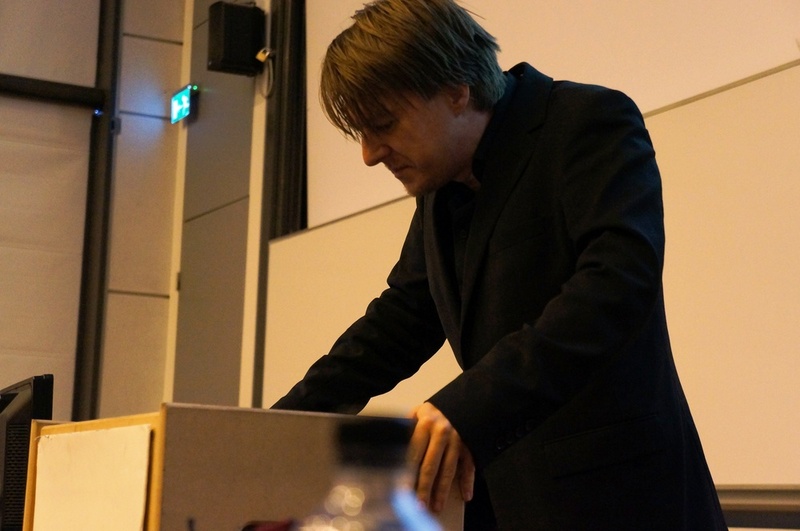 Last October during the Millennium conference, Materialism and World Politics, STS and IR theorists met on the last day to discuss potential collaborations and resonances between the two discourses. “Materialism” as a theory and as a methodology made a helpful facilitator for this conversation. One of the main points the discussion centered on during the conference was what “subjects” could be “objects” of study in each discourse. It came down to this: STS likened choosing its subjects and objects of interest to looking into a “cabinet of curiosities.” IR is decidedly wedded to its levels of analysis. The sovereign state and the international system of states, and–to a lesser degree–the sovereign individual. These are the legitimate subjects/objects of study in IR. Of course, these levels are being pushed and questioned, as is evidenced by the conversation we had in London, but they figure large in the epistemology of IR. To return to the subject of “bodies,” there is something puzzling about how IR, as a discourse and a practice, speaks of the body, or, more specifically how IR theorizes and and understands the human body in this tripartite schema of system, state, and individual. In other disciplines, there has been an increased interest in the study of the body as a social and material phenomenon beyond a scientific or medical perspective, but, until recently, IR has never much about the human body. Conversations and analysis have focused on the state, and on the individual as connected to states. But, how is this “individual” understood beyond the civil and legal terms that dominate our field? Not just as a voter or a rational actor, but as an actual, material body that can be fragile, leaky, diseased, sold, colonized, male, female, multiple? This body is a powerful body, one that cannot be fully securitized or regulated, but its seductive power to IR theorists is unmistakable. Folllowing in the footsteps of Machiavelli, Hobbes, Kant, and other precursors that IR has adopted as its own, IR theorists have understood or likened the state to a person (Wendt and constructivism), or used body metaphors to describe it (organs of government, for example). This “state as a person” debate and bodily metaphors show that the body never really disappeared (as sociologists and social theorists already said in the 1980s and on), it was just less visible. A variety of recent literature in IR, and the conference in London, can attest to a new (renewed?) interest in concerns of the flesh, so to speak. This may be due, in part, to a concomitant questioning the sovereign state as the legitimate subject of study, and most relevant actor in IR in a complex, interconnected, and globalized world with diverse actors and multiple relations of power and accountability. This is certainly where STS has the most to offer IR–some promiscuity, as Deleuze would insist upon, in methods and subjects/objects of study. 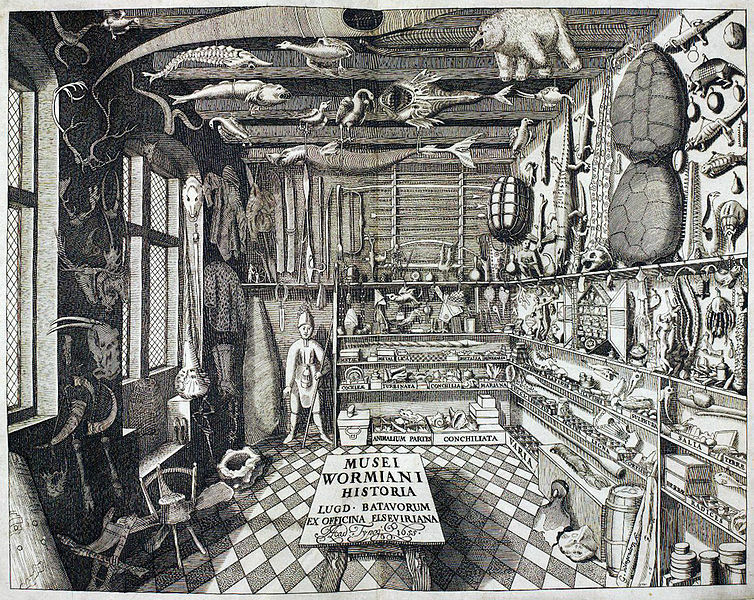 Cabinets of curiosities rather than hierarchies and levels. Last night at Colgate University, we brought in a speaker for our Global Engagements program. His name is David Crawford, and he is an anthropologist at Fairfield University. It was a really terrific talk–he works in rural Morocco–about experience of globalization in urban and rural places. During the talk, he spoke of hearing an Amish farmer speak at the Yale Cooperative Ag School. At the beginning of the talk, the farmer told the audience that his community had no tractors, but they did have a washing machine. Dr. Crawford joked that this distracted him through the entire talk: why a washer and not a tractor? The answer: Tractors make it possible for one man to use too much land, and to be able to work the land by himself. Horses and plows put each community member into a place where he has to ask for help and to recognize his communal relations. The amount of land that can be tilled is less, therefore leaving more for future generations. All the hay harvested in day needs to be collected before it gets wet. This is more than one man and one horse can do so he has to ask for help from the neighbors. This is a much different idea of technology: this Amish community deliberately integrates their choices about what is important into the technology they choose to employ. They have washers because laundry tends to be a solitary chore that, if done without a washing machine, is very time consuming and laborious. The technology here frees up the women to pursue other chores and spend more time with their families and the wider community (I forgo a discussion of gender politics here, though I am sure one is warranted). These choices deliberately bind the community together for the future. What about the technology in your life? What choices are integrated into your life because of the technology you use?